Peel, it, press it, and watch it shine! It’s the fun new way to peel, and stick. Original stickers are flat but Fun Foil Art is 3-D! 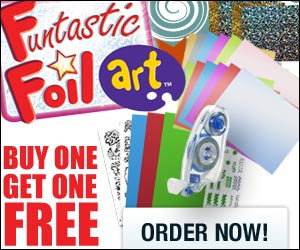 Your kids will have endless amount of fun with Fun Foil Art.